Here you will find all the necessary information on the most important temple within the Archdioceses of Barcelona. The search function will allow you to discover the church itself, and to pinpoint those aspects of greatest interest to you. This website will bring you into our Church. You will find out everything about its history and art, its liturgical celebrations, and cultural aspects such as the Cathedral's archives and music. 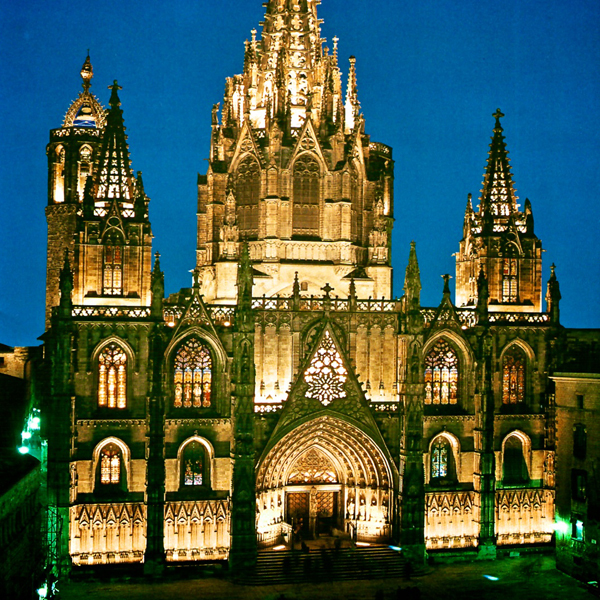 Construction of the magnificent Gothic Cathedral of Barcelona commenced on 1 May 1298, on the site of a Romanesque temple . The work was carried out in three stages over 150 years. As is true for many religious buildings, construction had to move at a slow pace. The main façade was raised at the end of the 19th century, while the 90-meter high cimborio went up in 1913. In 1969 the blackened domes were cleaned, the altar adapted, illumination installed and the archives were renovated. These actions were carried out following the guidelines established in Vatican Council II. The façade and cimborio were restored between 2004 and May of 2012; that work has not yet been completed and includes restoration of the rooftops and the bell tower. Our beautiful Cathedral receives three million visitors each year. The magnificence of its Gothic art, the splendid Gothic and Baroque altarpieces, its marvelous choir, the baptistery and the sepulcher of Saint Eulalia are evident to all observers. Naturally, our See, located in Barcelona's Gothic neighborhood, offers all the fundamental religious services. There are daily Masses, well-attended confessions, baptisms of children and adults. We also provide shelter and vigil services, aimed at maintaining order and attending to those people who require special attention. Of particular interest is the conventual Mass held every Sunday, with the intervention of the famous Francesc Valls chamber choir. 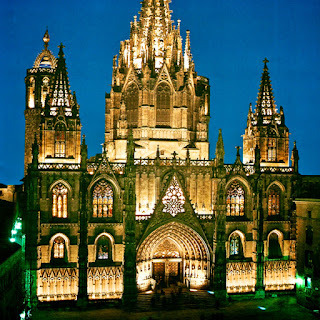 We hope that this site helps you to find what you expect from the Cathedral of Barcelona. You will be surprised by what is has to offer as a temple, a museum, a sanctuary,.... The faithful will find sustenance for their souls and everyone's spirits will be lifted on contemplating the beauty of this monument.